Full Description: A letter from February 1924 to Harry from Charles Rutterford (Harry's concertina teacher for 22 years!) and father of Ernest Rutterford, later to become Harry's band partner) reminding him to attend the British Empire Exhibition at Wembley. 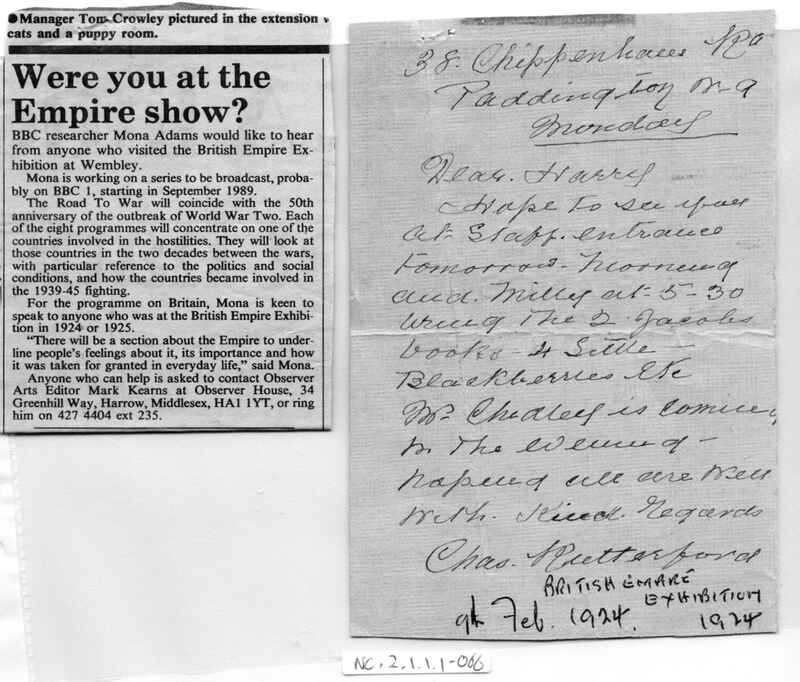 The band played at this Wembley event, and Charles Rutterford's letter says "See you at staff entrance. Mrs Chidley is coming in the evening". Together with a 1989 press cutting from The Observer appealing for folks who were at Wembley 1924 to write in with their recollections.